Are There Still "Off" Vintages in Oregon? 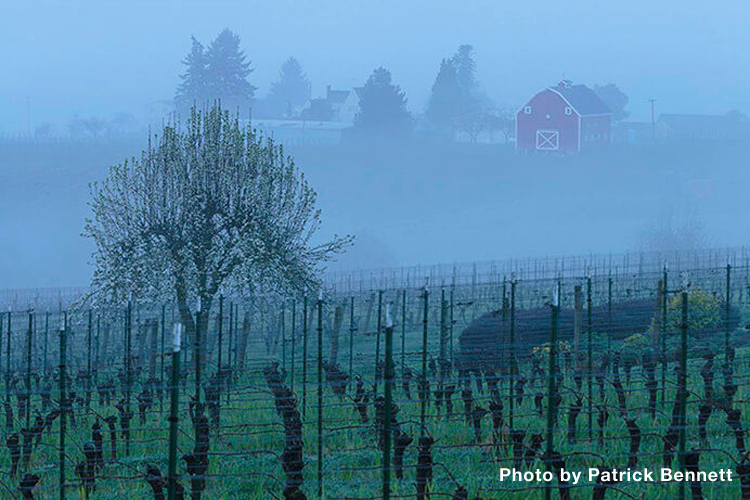 Unlike Washington, where rain-free harvests are routine, Oregon's winemakers frequently have to work around significant rainfall and humidity. But that may be changing. Recently, a succession of the warmest growing seasons on record has wineries wondering how much of a good thing is too much? In 2014, the measure of growing degree days in the Willamette Valley (basically, how much heat the vines got) was 2530% above the norm; in 2015 it was even higher. For 2016, the trend slowed down a bit, though bud break was as much as a month before normal, and harvest was the earliest on record.